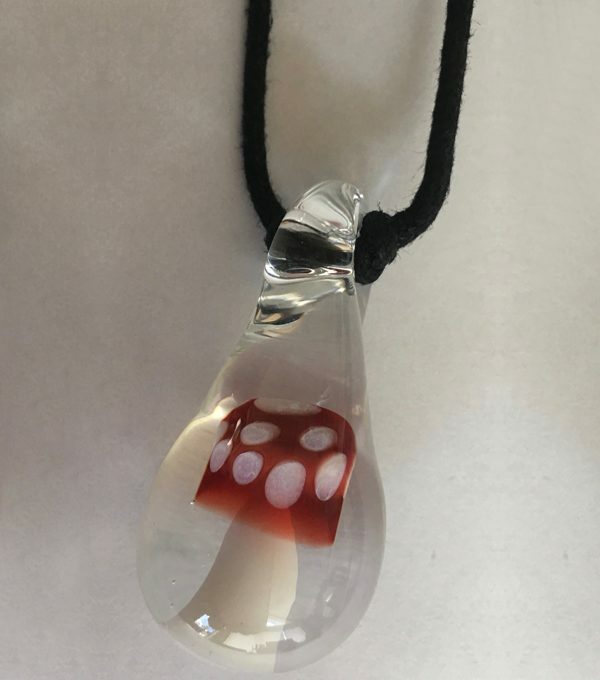 This ammonita mushroom necklace pendant is made from handblown glass, by our local artisans, Pixie Glassworks. The necklace comes with a black cord. Each piece is unique and will not look exactly as it does in the picture. Colors may vary.